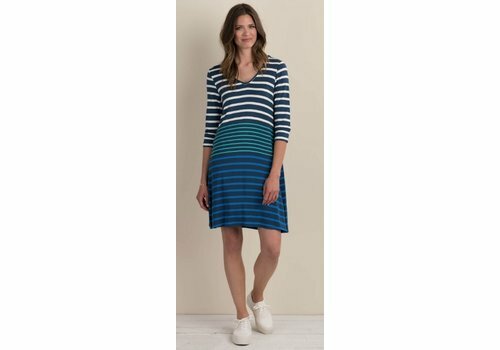 The ultimate transition piece, this simple dress features a simple cut with a modern spin on classic stripes. Master the art of drink-to-desk dressing with this super cute tiered dress. Featuring a bow back detail and all-over print, it's made for fun! 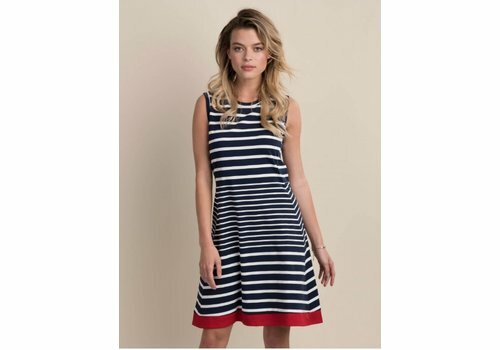 A fitted cut with peplum sleeves and crew neck, this stylish dress adds a splash of nautical polish to your summer wardrobe.